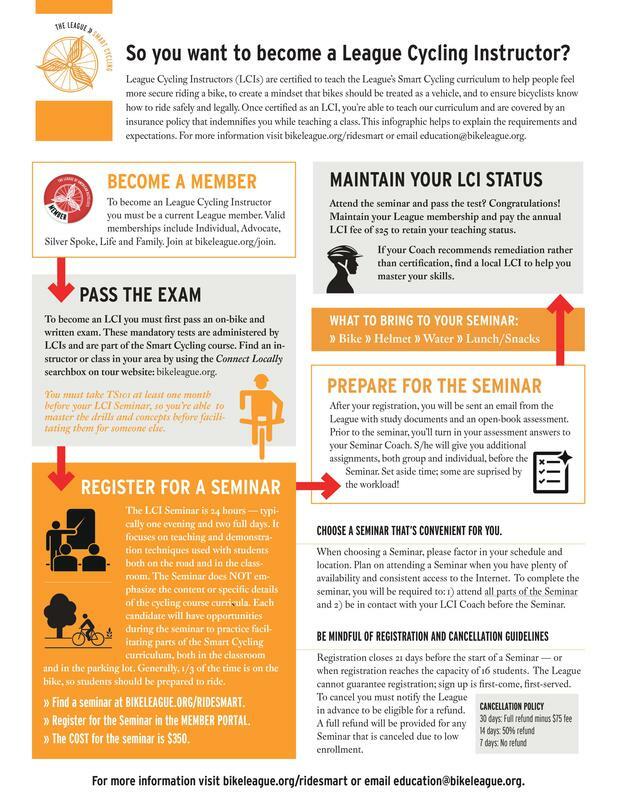 After completing the Traffic Skills 101 Course, LCI Certification is the next step to becoming officially recognized as a leader in the bicycling community. The greater Champaign-Urbana area currently has ten League Cycling Instructors, five of which are new as of this year thanks to our LCI class in June. If you are interested in becoming a League Cycling Instructor you can visit The League of American Bicyclists website to find out more information and apply.